The recent beating of a Milwaukee Muslim woman outraged many people, including members of the Islamic and the interfaith community. The woman says her attacker made a point of ripping off her head scarf, or hijab. The incident follows a series of threats against a Jewish community center. Religious groups have been working for years to prevent such attacks. The shared strategy is to promote understanding and tolerance. If you drive down south 27th street in Greenfield, you may notice the big sign hanging in the window of the Islamic Resource Center. It invites passersby to pop in to learn more about Islam. 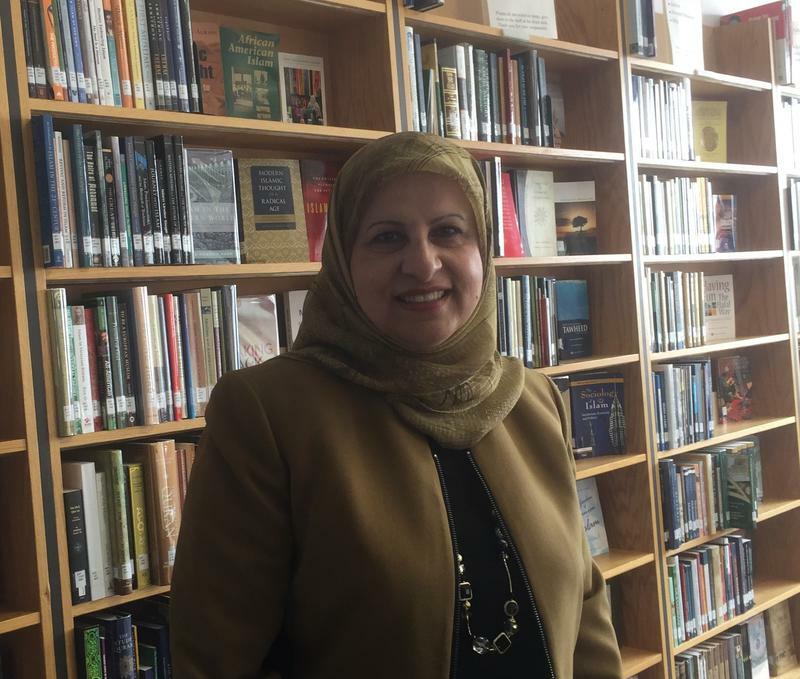 "People that know Muslims or have encounters with Muslims tend to have a better understanding, to be more friendly with them," says Janan Najeeb, president of the Milwaukee Muslim Women's Coalition. It runs the Resource Center. Najeeb walks through the building, pointing out objects of art in a glass case, a small coffee shop and a meeting space for a variety of events, such as book clubs, films and discussion groups. But the centerpiece is a library that lends thousands of books and DVDs. Najeeb says the materials provide accurate information about Islam, in an attempt to dispel myths. "We have children's books, we have adult books, we have books about Muslim women," Najeeb says. Najeeb says last week's attack on a local Muslim woman was a reminder of the hatred some face. Yet she's heartened by the traffic at the Resource Center. "I think there are a lot of people that now feel comfortable coming because we're not a mosque," Najeeb says. Members of the Sikh religion in the U.S. have just launched a PR campaign in an effort to educate and reduce bigotry. It includes videos, which depict Sikhs as people of faith -- and individuals like everyone else. Here in the Milwaukee area, Sikh temples have been organizing outreach efforts for years, according to Anup Singh. He's a member of the executive committee of the Sikh Religious Society of Wisconsin in Brookfield. Singh says it stepped up efforts after the fatal shootings at the Oak Creek Sikh temple. "The aim is to interact with as many people as possible," Singh says. Singh says his Brookfield temple invites the community to visit, have a meal and even try on the turban that Sikh men wear. He says it's something many people ask about. Singh says Sikhs explain the turban is an article of faith, and is meant to make wearers noticeable. "The reason we want to stand out in the crowd is that if there is somebody in the crowd or anybody out in the general public who is facing any problem or any stress, they can always go to a Sikh person and ask for their help. And a Sikh person is duty-bound to help those individuals," Singh says. Meanwhile, the local Jewish community's outreach includes a course that teaches adults and teens how to recognize and respond to bigotry. That's everyone's job, according to Elana Kahn of the Milwaukee Jewish Federation. "To make sure that we draw a line between acceptable and unacceptable behavior, and make sure that those on the margins stay on the margins and don't become normalized," Kahn says. "What we have to do is create a climate of knowledge and understanding and hopefully moving beyond tolerance to friendship," says Tom Heinen, who heads the Interfaith Conference of Greater Milwaukee. He says one conversation or meal won't change all misgivings about a religion, but it's a necessary start. "The issues we're confronting are a combination of fear, ignorance, isolation and then geopolitical tension and events that stir up the mix." Heinen says people of faith -- sometimes those under attack -- must have an unwavering commitment to reach out to others. Following a local television report stating that someone beat and cut a Muslim woman on Milwaukee's south side early Monday - after demanding she take off her hijab, the Council on American-Islamic Relations has called for a hate crimes investigation. 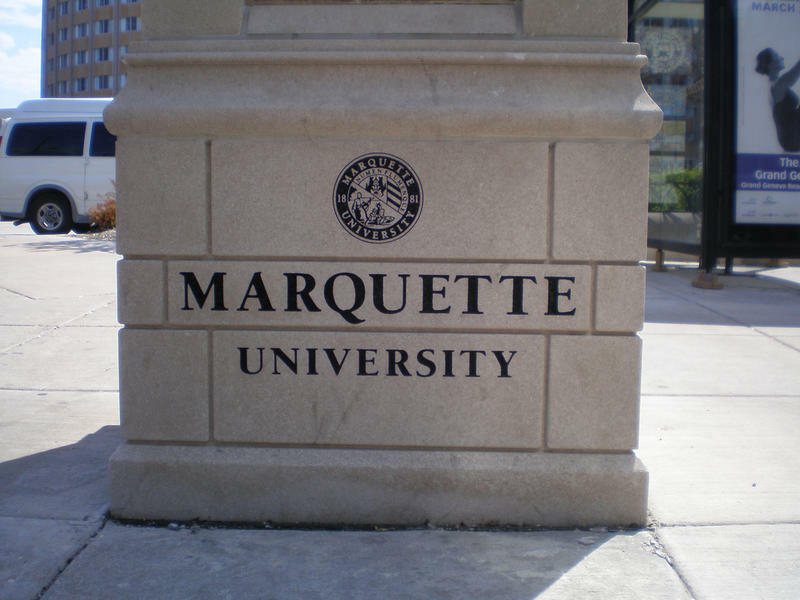 Twice, in recent months, someone vandalized a room Marquette University has turned into an Islamic prayer space and nearby hallways signs. The first incident reportedly occurred following November's presidential election; the second, after President Trump released his revised travel ban against about a half-dozen predominantly Muslim nations. 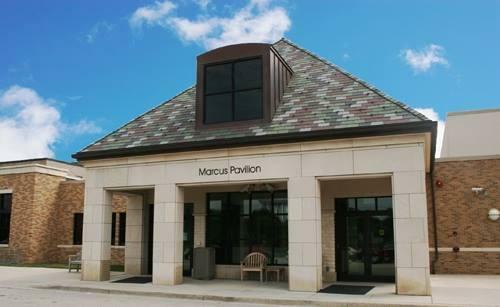 Authorities are still investigating whether an Israeli teenager was responsible for several bomb threats made against the Harry and Rose Samson Family Jewish Community Center in Whitefish Bay in recent weeks. 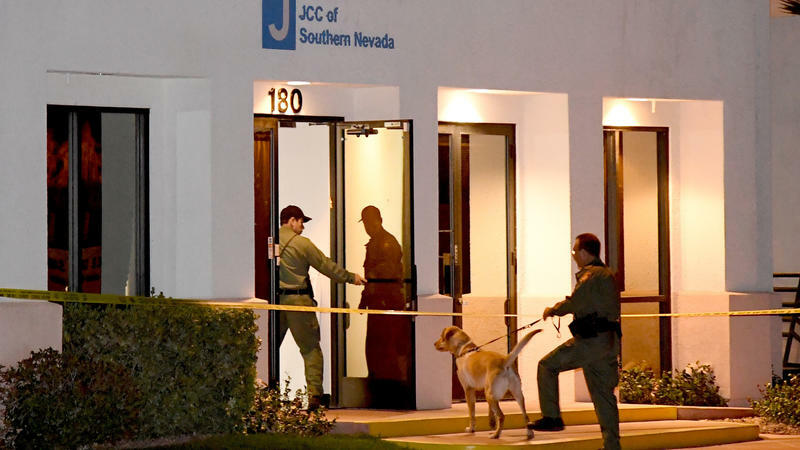 The teen was arrested in connection with dozens of terror threats against other JCCs in the United States. A former journalist was charged with still more threats several weeks ago. A man in his late teens has been arrested in Israel as the "primary suspect" behind a string of phoned-in bomb threats to Jewish community centers across the U.S. and elsewhere. The arrest was the result of an investigation by Israeli police and the FBI, a police spokesman says.